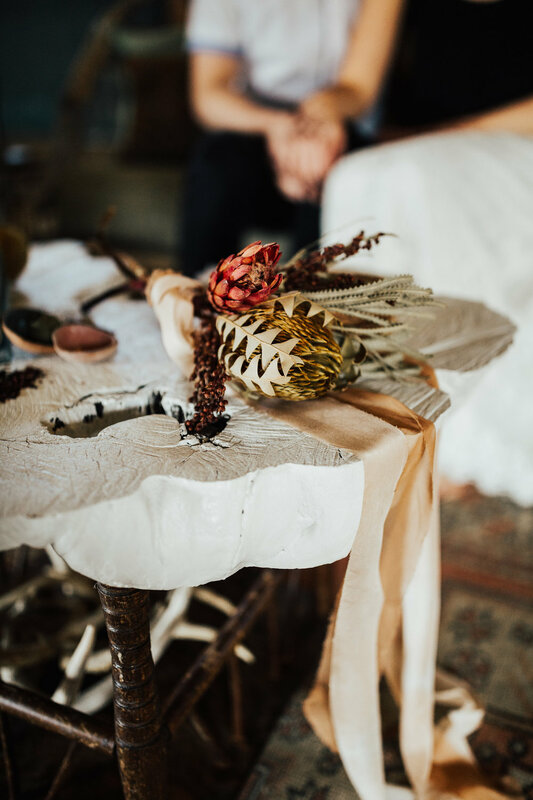 Update: this shoot has been featured on Wedding Day Magazine's Blog! Click here to view. 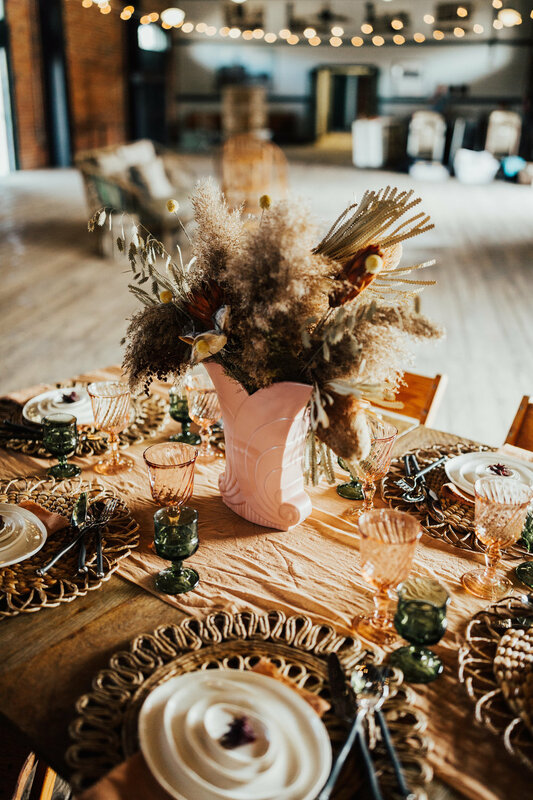 Last month I had the pleasure of participating in a styled shoot organized and designed by the amazing Meaghan Keck of Birch Affair at the Ypsilanti Freighthouse. 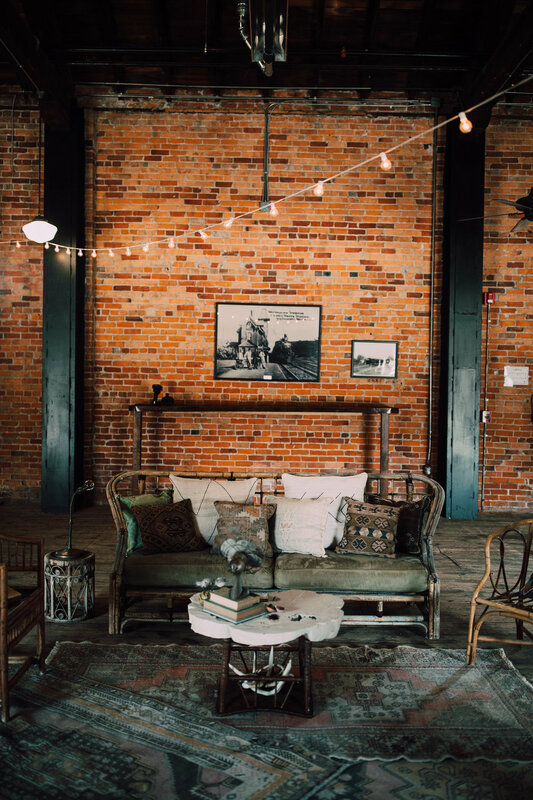 It was such a cool historic building with lots of space, tall ceilings, a great wooden wraparound deck and nearly all of the walls were exposed brick. 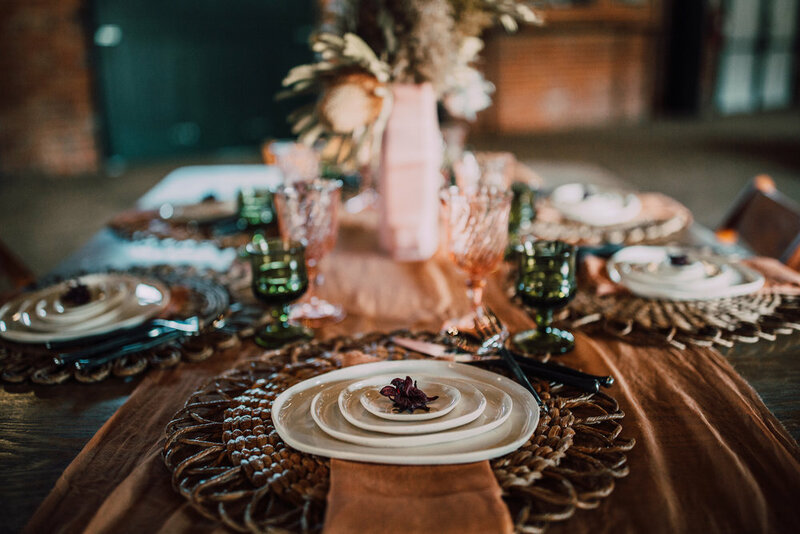 The vision included a warm toned color palette, so I made a long silk chiffon rust colored table runner that we knotted to enhance the draping effect. I also made a set of rust colored linen napkins with delicately frayed edges. 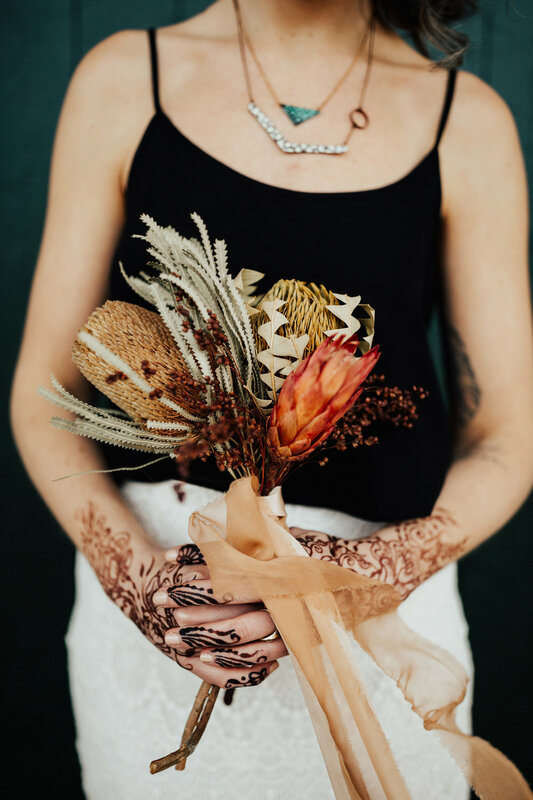 Meaghan made a lovely and unique bridal bouquet of dried protea flowers and foraged dried fauna. To enhance it, we added a long draping soft pink habotai silk ribbon combined with a rust colored silk chiffon ribbon. 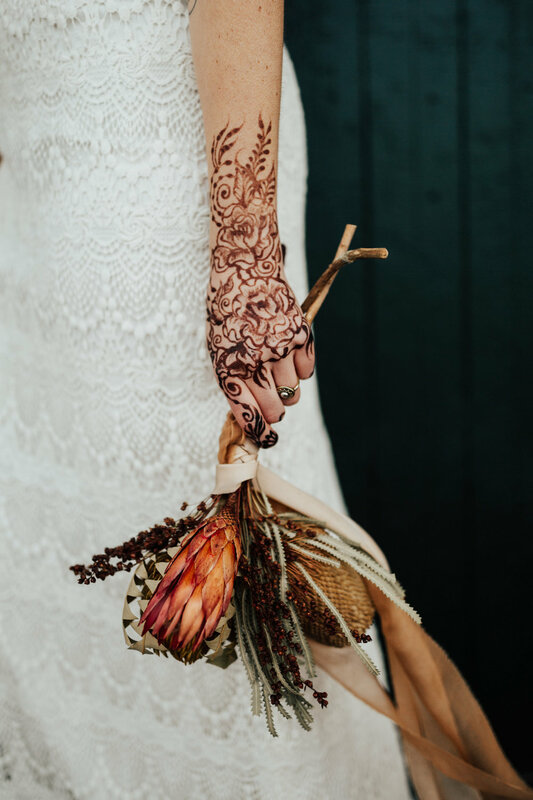 Kelly of Henna by Kelly Caroline created beautiful designs on the bride and bridesmaids. Makeup and hair was by Fudge Beauty and Unwind Ann Arbor. Photos were taken by Tana Helene - who was such a great fit!! 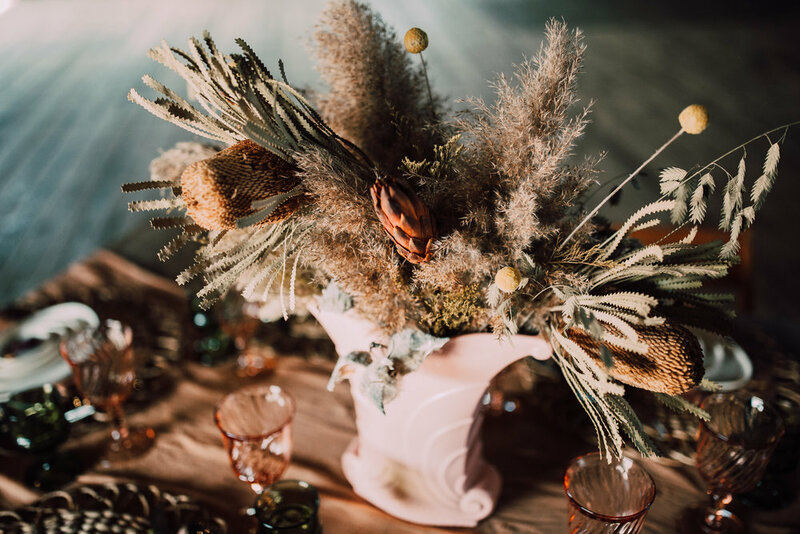 Her aesthetic is definitely aligned with the vision of the shoot - lots of rusty warm vintage inspired tones in her work. Katie of Make Do Studio created the unique plates and ceramic wall hanging. 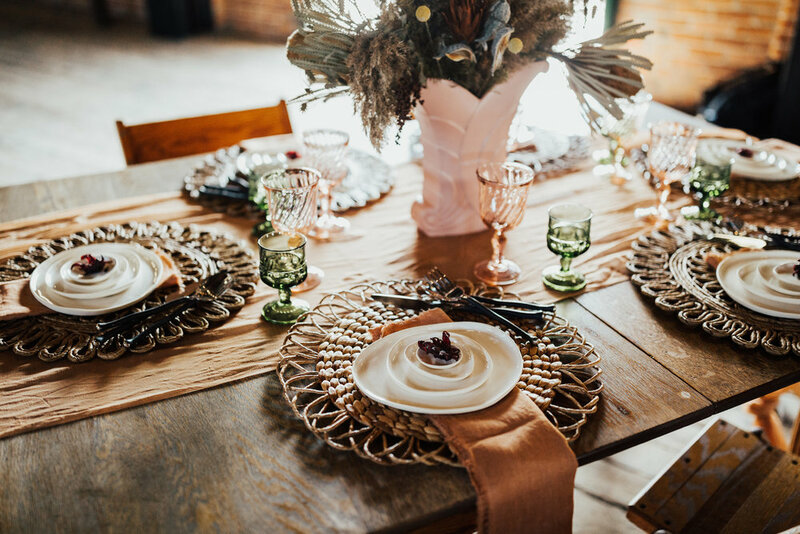 Vintage furniture rentals were from the company Gigi & LaClede Vintage Rentals and Jessica & Co Vintage. The Good Rug provided some of their amazing antique rugs. The models wore jewelry by Courtney Fischer Jewelry and a bridal gown by Detroit Bridal House.